We do things simply at Kuda Vana. The best moments are sharing a meal with the entire family, or gathering together for worship in our beautiful veranda overlooking the lake. This past Sunday we celebrated the resurrection of Jesus Christ with an open air sunrise service at our Worship Center. Each child at Kuda Vana received a brand new pair of pajamas, a welcome gift as winter is approaching and the nights are getting colder. They bundled up and snuggled together as we retold the story of Jesus and his death for us on the cross. A fire kept us toasty as we watched the sun rise over the lake below. We reflected on the One who gave everything so that one day there would be no more pain, no more sorrow, no more orphans. Our children celebrated that He has risen, and death can no longer hold us! Afterwards, we shared a family meal, with each house bringing a special dish to share. The children then played games, hunted Easter eggs and held relay races , one of their favorite activities. We are so thankful for the hope we share that life on earth is not all there is. Our belief in Jesus gives us hope that one day each child in our care will have the opportunity to sit in the lap of their Father in heaven, and to be comforted knowing they are loved completely. These two love their new warm jammies! Easter eggs are such a fun treat! Running races around campus is a favorite activity! 15 year old Tendai is special. He is always looking for ways to improve life on campus, both for himself and for others. He has grown to be a hardworking boy who is always ready to help anyone who needs it. He likes gardening and wishes to venture into farming in the future. 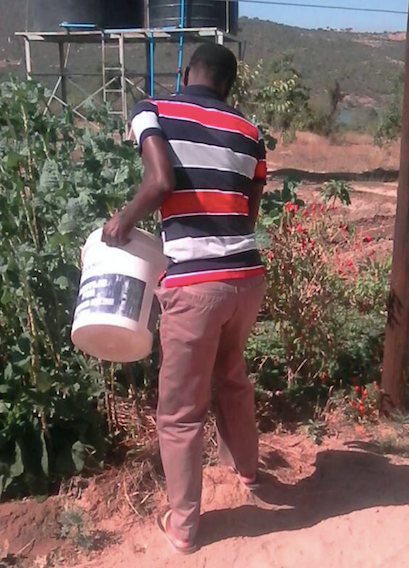 Tendai has also been maintaining the lawn around the premises without being told to do so. He has managed to keep it neat and green. When Uncle John noticed Tawanda’s hard work he decided to reward him with some money. Upon receiving his token of appreciation, like the positive thinking boy that he is, Tawanda thought he could use the money to start up a chicken project. He has now realised that he needs much more to do this. Now he has taken the money to the office for safekeeping while he saves more so he can buy himself a bicycle. Tendai’s positivity and will to do great things that has inspired all of us. We wish to have these dreams and more fulfilled for all of our children, and to help them cultivate ways to achieve those dreams. Simbai, affectionately known at Kuda Vana as Sammyboy, came to the home when he was estimated to be only seven months old. For reasons we don’t know, his parents were unable to care for him and gave him up. Our joy of having a new baby was cut short though. 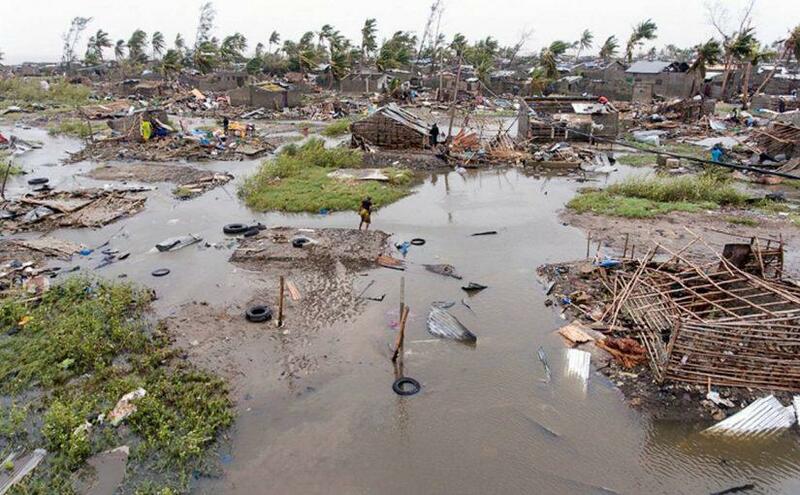 Looking at Simbai, one would not help but shed a tear or two due to this appearance. He looked sickly, sad and gloomy. He could not crawl like other babies of his age. He could not smile and anyone could tell that he was not a happy baby. He was just Simbai. Simbai was taken to doctors for diagnosis to see if there was anything wrong with him. It was revealed that he had a deformed spine which was the main reason why he was always lying down without any activity whatsoever. 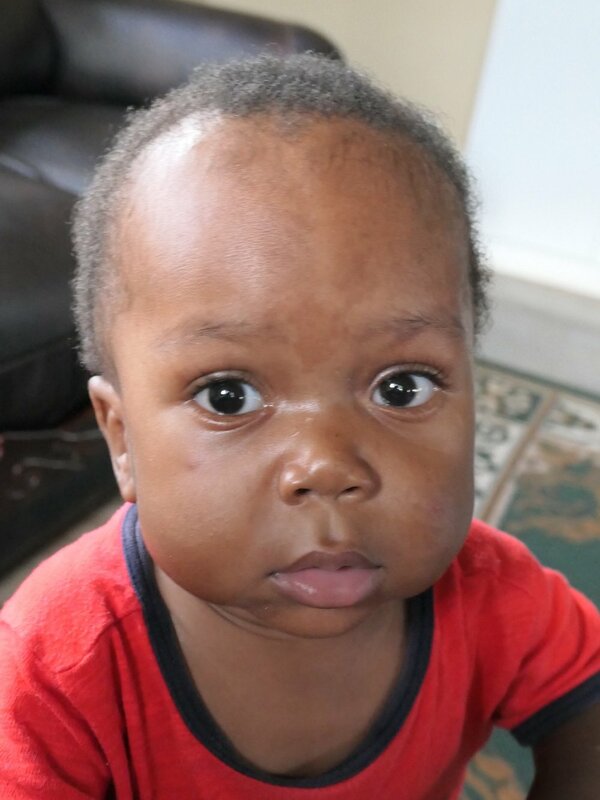 When the doctors prescribed physiotherapy for baby Simbai, his bleak future became brighter and brighter. The physiotherapist gave us a home program for exercises that would facilitate his sitting. After a number of sessions, Simbai began to sit. Hurray, we were all happy for him. In a couple of months thereafter Simbai began to crawl and we were all smiles. We began to see smiles , the laughter, and now we have a very active baby in Simbai. Simbai today is a living testimony to all of us. Everyone saw God’s hand through him, and God works through Kudavana Children’s Home. Simbai is now happier and more active than ever. Simbai’s cheeks are constantly kissed and squeezed when visitors come to our nursery! Steve Veluscek, Kuda Vana's Board Chair, spends a good share of the year in Zimbabwe, and has been in Harare with his wife and two sons for the past couple of months. This is his account of what’s happened there over the past month or so. A typical visit to a grocery store in Zimbabwe in early 2019. Bread is limited to two loaves per customer, and is often hard to find at all. Upon arriving back in Zimbabwe at the beginning of December, we were shocked to see the massive lines for gas - miles long in some cases. Clearly, people were spending the night in their cars and often waiting for a fuel delivery to the gas station, so the gas station could begin pumping again. We also were amazed to see the prices of basic commodities in the supermarkets - it appeared that in some cases, already inflated prices had more than doubled since we had left about two months previous. We quickly began sourcing gasoline and diesel and building up a bit of a stockpile. I felt I had won a minor victory when I was able to fill the 55-gallon barrel I bought and stored in the garage the week before the January 12th announcement of a 150% increase in price of fuel. I did not understand at the time that this massive price increase would spark considerable unrest. Tuesday morning, after the fuel price hike, our boys stayed home as the school was concerned about possible protests and general unrest. As was my routine, I started to walk to the nearby gym with my earphones in and listening to a podcast. I got out of our gate through the cul-de-sac and across the adjacent park before I looked around and realized there was nobody out. I took the earphones out of my ears and look around. It was deathly quiet. Since I was already half way to the gym I decided that I would continue. The gym was closed, as well, it turned out, as everything else. By the time I had returned home I had seen only four cars and three people - two of which were security guards - mind you, we live across the street from a large school and business park. Sometime midday, the internet was shut down and it was not until the internet was restored nearly two days later that we learned of the protests and violent government response. The Zimbabwe Association of Doctors for Human Rights (ZADHR) has stated that 172 people had been injured, of which 68 were treated for gunshot wounds. It reported that 12 people died. ZADHR at one point recorded 844 human rights violations that included, 78 gunshot injuries, 466 arbitrary arrests and detentions, as well as 242 cases of assault and degrading treatment. We never felt unsafe, but we didn't venture out until the next day and then only briefly. It was Thursday before things started returning to normal with a number of shops opening up. The internet was turned back on late Wednesday, but was shut down again for several hours on Friday and social media such as Facebook, WhatsApp, Twitter, YouTube, etc. was not restored until a court order was issued the following week. A U.S. economist has estimated the inflation rate here in Zimbabwe at 290%. The fact is that if you go to the black market, RTGS ("Real Time Gross Settlement" referring to electronic payment much like a debit card) and bond notes (a pseudo currency banknote printed by the government to be used within Zimbabwe) trade at a rate of roughly 4 to 1 U.S. dollar cash. Prices in the stores reflect this, but most people's paychecks do not. The Zimbabwe citizen's purchasing power has effectively been reduced to only 25% of what it used to be. If you could afford to feed your family of four, now you can only afford to feed yourself. And I am not being hyperbolic by using feeding your family as an example. People do not have enough money to feed themselves and thus the volatility of the situation here in Zimbabwe. If you are going to starve anyway, you might as well join the protests and take your chances against the army. The fact is that we are largely insulated from most of the suffering. The military crackdown occurred in the high density, low income suburbs of the larger cities. The children's home is nowhere near this and while we do live in town, we do not live near these areas. Further, we and the children's home have access to U.S. dollars cash, which means we can generally find whatever we need and, in many cases, pay a reasonable price for it. Things here in Zimbabwe appear to be stable for the moment, however things could change at any moment. People are lining up at the grocery stores in the morning to buy the price-controlled bread. You can find artisanal or specialty bread which is not price controlled and thus three or more times the price of an equivalent loaf. But the cheap price-controlled bread, which is a staple of much of the population, is scarce. When you are able to find it, you are limited to two loaves per person. Despite Zimbabwe now having the most expensive gas in the world, we are again seeing lines for gasoline. Supposedly the protests and aftermath interrupted the supply chain and things will normalize soon. We will see. With the fuel costs rising, costs of in general are also rising to compensate for increased transportation costs. Many people who rely on public transportation can no longer afford to go to work. If you make $8 a day as a laborer but it now costs you $6 to go to work and back, there is little point in making the trip. Hearing from folks in the international diplomatic community, I have to conclude that things are likely to get worse before they get better. Zimbabwe is in desperate need of cash, and there is not an easy solution for acquiring international loans given the current climate. We can all hope and pray that total economic collapse can somehow be averted, but most Zimbabweans are already preparing for something they have unfortunately become accustomed to experiencing. Every parent worries about their teenagers. Kuda Vana is no different. Decades of corruption, economic crisis and chronic unemployment have wreaked havoc on the most vulnerable population, children. And we are worried. 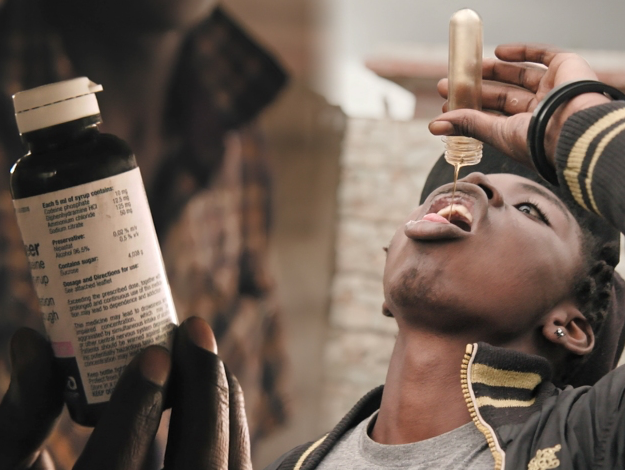 According to some estimates, half of Zimbabwe’s young people are addicted to some kind of drug, including a popular form of cough syrup known as BronCleer. While the drug was officially banned in the country four years ago, it is smuggled in in large quantities from neighboring South Africa and is simple to get. BronCleer can be purchased for as little as $5 on most street corners, school yards and in bars. A cheap and attainable high, it is an easy escape for teens who struggle to envision a future for themselves in a country with 95% unemployment. A recent documentary by VICE has highlighted the problem on a global scale - you can view it HERE. The good news is that there are reports that since it aired, the Zimbabwean government has announced plans to launch rehab centers across the country. We can hope this is the case, although it does not fix the underlying problem of hopelessness and peer pressure that leads young people to this behavior. Please continue to pray for our staff as we help our children navigate the tricky and often treacherous path to self-sufficient and happy adulthood. November 12, 2018 was World Orphans day, a day to raise awareness, support and funding for orphans across the globe. Thousands of churches around the world participated in special “Orphan Saturday” and “Orphan Sunday” services on November 10 and 11, bringing this pressing issue to the forefront for their members. The Hilbright Seventh-day Adventist Church participated in Orphan Saturday by paying a visit to Kuda Vana Children’s Home. They used the visit to remind each child that we are all the same in the Lord, and regardless of our different situations we can still work hard and achieve our dreams. Kuda Vana makes a special effort to encourage positive relationships with our children and local families, which builds a sense of broad community and support. Many of our young people will often spend school holidays with families from local churches and the community. Kuda Vana is blessed with a beautiful open air worship center. The veranda looks over trees and a nearby lake, and is the perfect place to worship and spend time together. Kuda Vana’s Worship Center, funded by Adventist Health Systems, is a beautiful place to gather. The day began with Hilbright leading the morning services. The children at Kuda Vana took charge of the afternoon program, and enjoyed having an equal part in the service. The children presented on the steps we can take to have close relationship with God daily. Of course, the service included lots of song and music, which drifted out across the lake on this lovely Saturday. Many of the elders in the church commented on how confident, smart and articulate the children at Kuda Vana are, and how they would like to replicate much of what they saw with their own children at home. We are grateful to have a supportive church community who takes a vested interest in the children at Kuda Vana! The Worship Center was packed with visitors for Orphan Saturday 2018! Looking for the perfect gift? Look no further than Bellafina Chocolates for all of your Christmas needs! Your friends and family will receive the most decadent and artistic chocolate truffles they've ever tasted. Even better, 100% of profits after covering expenses benefit Kuda Vana Partnership. This year, we have a special Nativity-themed box designed by 19-year old Esami, one of the young men in Kuda Vana's Youth Transition Program. He is a talented artist with big dreams - your purchase helps ensure he can continue his schooling and gain the skills to become self-sufficient. This watercolor nativity scene was painted by Esami, a 19 year old who has lived at Kuda Vana for more than a decade. Kuda Vana girls participate in Take Ten Thousand Girls to Work Day! Take Ten Thousand Girls to Work is an annual Job Shadow Program by Junior Achievement (JA) Zimbabwe held each September. 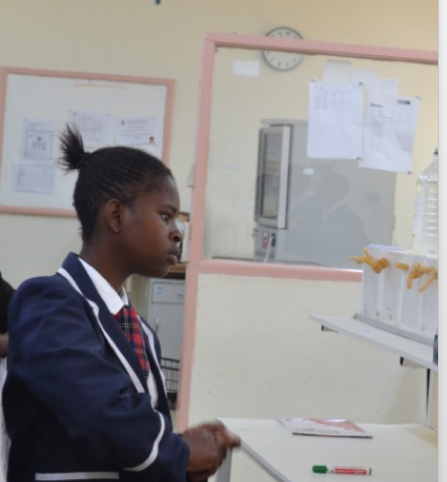 During this week JA Zimbabwe partners with companies and institutions to bring female students (Form 3-6) to shadow their employees for half a day to a day. The program matches young girls with professionals in their fields of interest, giving them exposure to the world of work, and opening up doors of opportunity to career paths they would otherwise not know of or aspire to. Kuda Vana was thrilled to have six girls participate in this exciting program this past September. They were assigned to two companies, a radio station called Diamond FM and National Blood Services Zimbabwe. Viola, Johani and Dadisai share a laugh before heading out to their Job Shadow in their school uniforms. In addition to learning the educational and skill requirements of the various jobs in each business, the girls were briefed on topics like workplace sexual harassment and how to handle and report it. This is especially important for our girls, as many of them experienced abuse prior to coming to Kuda Vana and are learning what is and is not acceptable behavior. Johani learns about the importance of blood donation and the various jobs within a blood bank. 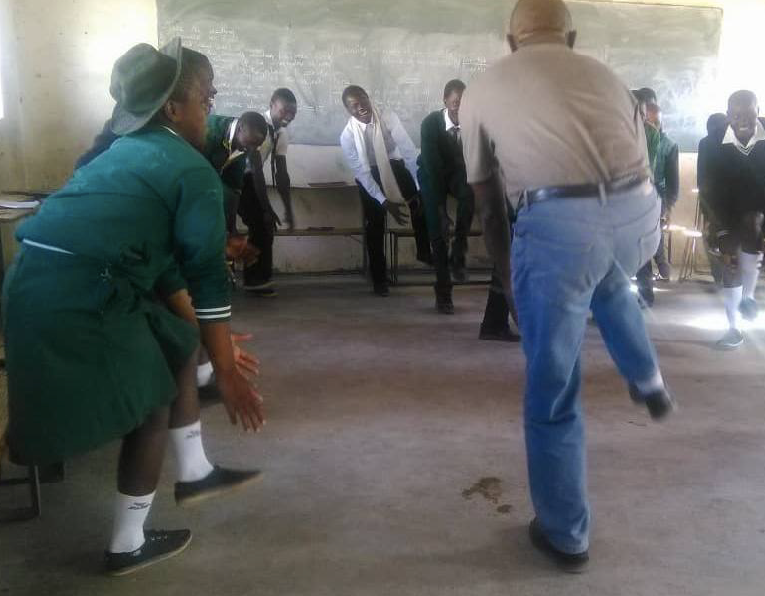 Kuda Vana is grateful to have partners like JA Zimbabwe, and look forward to participating in many more programs like these! Uncle Knowledge, Kuda Vana’s Assistant Administrator, wrote the following article about Kuda Vana’s computer literacy program. In the modern world where businesses rely heavily on technology, computer literacy is an undoubtedly vital and invaluable skill. Having decent computer skills means that you can perform the tasks that competing candidates may not be able to. This knowledge can result in you getting hired over your competitors. Computers are also used in studies especially at university and college level to do assignments, researches, dissertations and reports. Entrepreneurs inevitably use computers to do researches, write and review reports. 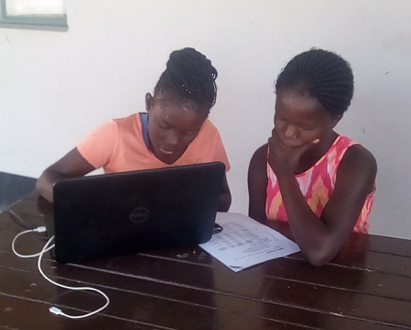 With all the advantages that comes with computer literacy, it is difficult for most Zimbabwean children to acquire these skills. Poverty and lack of access to technology make it virtually impossible for many children to learn what they will need to compete in business one day. 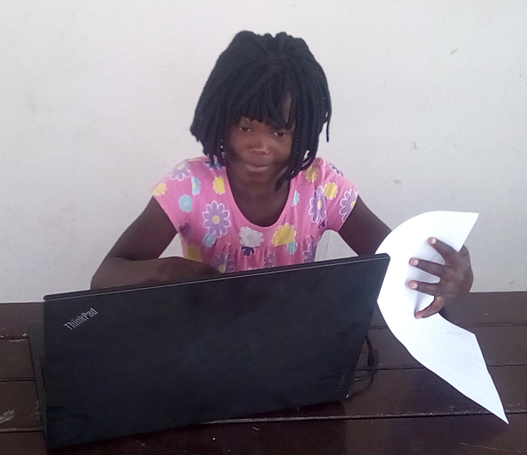 Fortunately, the children at Kuda Vana are privileged to have access to a few laptops where they are learning essential computer literacy skills. We are currently working with a group of twelve young people. They have started learning how to use Microsoft Word, basic typing, inserting tables and pictures, and printing among other things. We will also ensure they are proficient in Microsoft Excel, PowerPoint and other basic program. Lessons are done on Sundays and the children enjoy them to such an extent that they always show up early. Most of the children are doing so well, a few are struggling but we are patiently helping them. Learning to type is hard work! The goal is to ensure that when they leave Kuda Vana, each child is equipped with the skills they will need to be self-sufficient and employable in many forms. Some will go on to be entrepreneurs, some will go to university and others will begin families, but regardless we know we will have given them what they need to not just survive, but thrive. Uncle Knowledge, Kuda Vana’s Assistant Administrator, wrote the following article about his experience taking several of our kids to Camp Meeting. Kuda Vana works hard to ensure the children in our care have access to every opportunity, and can develop meaningful relationships outside of the Children’s Home. Last month we took eight of our children, ranging in ages from 11 to 16, to Camp Meeting in the Vumba Mountains, which straddle the Zimbabwe-Mozambique border. Prior to the trip, the children sat down with their Mamas and Aunties to discuss expectations for their camp experience, and ensure they felt prepared. I was their chaperone, and after their trip, the girls counselor told me “the children from Kuda Vana are behaving so well, even better than ours!” They really enjoyed playing games with the other children and were punctual in showing up to meetings. One of the things I was most impressed by was the children’s ability to participate in Bible studies. They were separated into their age groups, and I noticed that this was one area our children felt very confident in as they know a lot of Bible stories from their time at home. Many of them struggle with low self-esteem, and it was great to see them feeling confident. After the evening service the children would remain to have a short session of prayer. We utilized this opportunity to pray for all of the children, donors, Mamas and Uncles who are involved in Kuda Vana. I was moved by their commitment to stay for this every evening. Several of our children were also baptized, which is always a wonderful thing to see. It was a terrific trip. Thank you to our supporters who continue to make things like this possible for the children in our care. Kuda Vana is not your typical orphanage. In addition to our Children’s Home and School, we are also active in our community, equipping families to stay intact through agriculture and self-sufficiency programs. The Marange Family Assistance program supports two young girls, Shelma, 15 and Olivia, 20, who are celebrating their recent certification in a nurses aide program! Earlier this year, two donors supported Shelma and Olivia in achieving their goal to work in the nursing field. 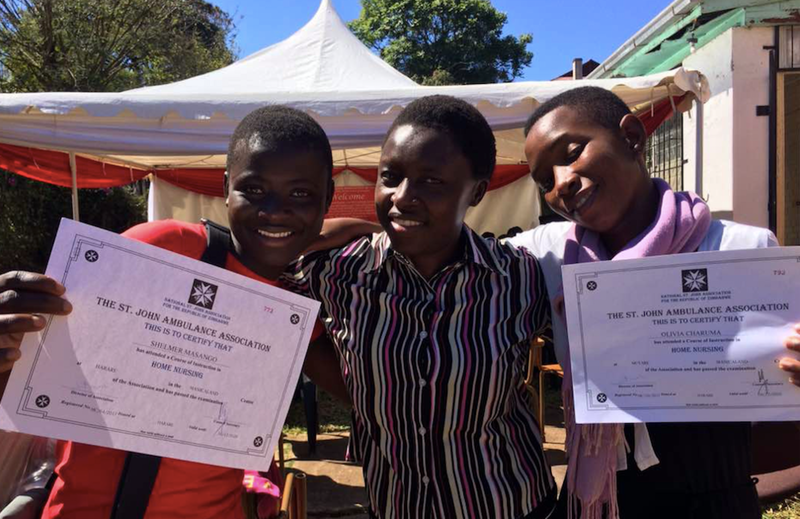 Shelma and Olivia have obtained their certificates from St. John's Ambulence, a first aide and Nurses aide training center in Mutare. Olivia now has the knowledge needed to take care of herself, who is living with HIV, and can go on to get a job as a home-based care nurses aide. Shelma has had the desire to be a nurse for some time and with her excellent grades in school along with the nurses aide certificate, she now has the opportunity to get a clinic attachment as a nurses aide and go on to nursing school! We are looking forward to seeing more children under our care achieve their educational and career goals. Thank you for your continued support! Shelma and Olivia proudly pose with their instructor and mentor, Rumbi. School holidays - a time for fun and rest! Fun fact: the education system in Zimbabwe goes year-round, with three 30 day holidays to give everyone a chance to rest, help out at home and see their families. Many high school students go to boarding school, so it's an important time for young people to connect with their families. Children at Kuda Vana look forward to school holidays as their older siblings return from high school, and joyful reunions between friends. Kuda Vana's high school students attend a variety of boarding schools based on their academic and emotional needs. Two of our high school girls attend a competitive high school in Harare - one wants to a doctor, the other a teacher. 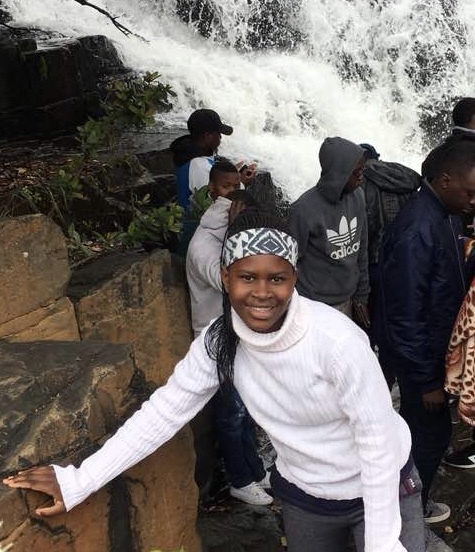 Their school takes annual trips to culturally significant spots on Zimbabwe and abroad, and this past school holiday they had the opportunity to travel to Nyanga National Park. We thought you'd enjoy seeing photos from their trip! J and D are best friends - they have so much fun together in school. 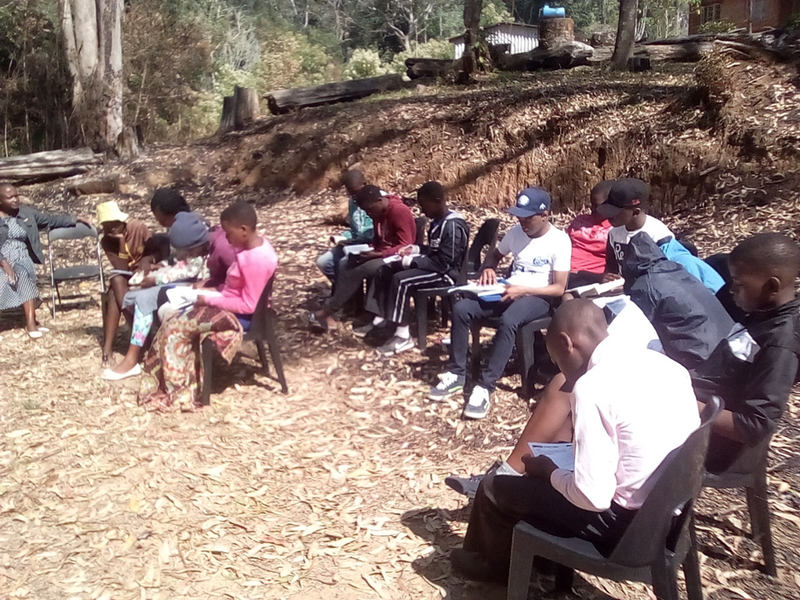 On June 19, Junior Achievement Zimbabwe held a life skills and entrepreneurship training for 28 teens living near or at the Kuda Vana Youth Transition Program site in Buhera. Participants included Kuda Vana young people currently in the Youth Transition Program, as well as members of the community. Junior Achievement (JA) is the world's largest nonprofit dedicated to inspiring and preparing young people to succeed in a global economy. The goal of the program was to equip each young person with the skills to generate income as small business owners, and to ensure they have a solid understanding of how to manage their finances. The day began with an overall assessment of where each young person was at in terms of their existing skill sets and confidence levels. The baseline testing measured knowledge and skills such as business planning, financial statements, saving and investing, stress management, problem solving and communication. The training then focused on the skills gap identified. Ice breaker and team building games helped warm everyone up for the day. Because many of the young people participating have experienced significant trauma and setbacks in their lives, many of them identified as having low-confidence and resilience levels. Thus, JA spent the first part of the day focused on soft skills, an essential component to be successful in life, at school, and at work! The morning focused on fostering personal development such as work ethic, decision-making, effective communication, self-awareness, confidence and team work. This personal development work set a firm foundation for learning about entrepreneurship and launching a small business. JA encouraged participants to use innovative thinking to learn business skills that support positive development. The group formed a "Company" that will launch a business enterprise with the potential of job creation and sustaining their needs. They elected Company officers, including a President, Director of Marketing, Finance, Human Resources and Production. In fact, Kuda Vana's own Beauty and Lwazi were chosen as President and Director of Marketing respectively! Kuda Vana's Lwazi (far left) and Beauty (third from left) pose proudly as Company officers! The young people had to identify a need in their community and come up with a product or service to meet that need. 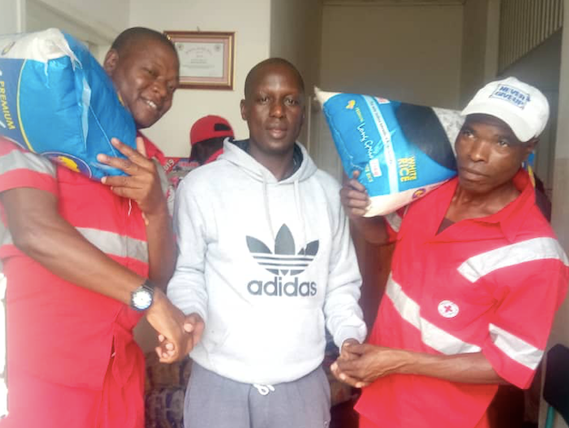 As part of their business plan, they were also encouraged to use a part of their profits to benefit their community and assist other disadvantaged or vulnerable people. Learning to give back is an essential component to success. Ultimately, the group decided on launching a chicken business, which will sell eggs and stationary at the local school. Each young person agreed to contribute $1.00 towards the enterprise. JA will monitor and support the new Company with monthly visits to ensure the new business venture is a success. We are so excited for this new partnership, which gives our young people real-world skills that will propel them to self-sufficient adulthood! All smiles at the end of a long, productive day with JA! When you are family to the fatherless, being a father-figure is an important job. Uncle William, Kuda Vana's Director, Uncle Davis our Administrator and Uncle Knowledge, our Assistant Administrator all act as mentors and father figures to the children at Kuda Vana Children's Home. They are there to listen, guide, discipline and love each child as if they were there very own, while also running the daily operations of Kuda Vana. This past Father's Day Uncle Knowledge decided to take the meaning of being a dad to a whole new level - by taking on a bunch of tasks our amazing Mamas do every day! Uncle Knowledge spent the day learning to cook a meal, washing and changing babies in the nursery, tending the garden and much more. "What I did today helped me understand more how important all of the Mamas, my mom and my future wife are. " We are grateful for Knowledge and all of the other father figures at Kuda Vana! House 4 tries to get a good photo together on their veranda. One of the highlights of visiting Kuda Vana Children’s Home is sharing family dinners and worship with each of the houses. I had the privilege of joining House 4 several times. Below is a typical evening at any of the four houses at Kuda Vana. When you run a house with ten children ages three-16, routine is of the utmost importance. Each evening, Mama Nomsa of House 4 serves a traditional dinner of Sadza (stiff grain porridge made from maize that is the staple carbohydrate food in Zimbabwe), greens and a side of scrambled eggs with tomato or meat at 6pm. The older children help in meal preparation and clean-up. I had my first experience eating Sadza without utensils (it is traditionally eaten with the fingers, and used to scoop up the rest of the meal), and was fairly proud when I didn’t make a giant mess. After the meal is eaten, every child pitches in to clean up and the family gathers for evening worship at 7pm. The children take turns leading out in song service, which they all enthusiastically participate in. Tonight, it was Vaidah, the eldest, who stood in front of the family and lead a chorus of songs that even I recognized – “Peace Like a River,” “Jesus Loves Me,” “Deep and Wide.” This was particularly poignant to me, given that earlier that day Vaidah had bravely shared the story of house her and her four siblings had come to Kuda Vana under incredibly tragic circumstances. Afterwards, Toastmaster style, Vaidah introduced her sister Videline to give the opening prayer, followed by 11 year old Blessed who gave the evening’s devotion. Blessed read from a primary devotional book titled “Hiking With Jesus”, which offers short allegories that teach important life lessons and point to Christ. Tonight the story was about the amazing Loofah sponge and its many uses – how even as a dead creature it offers a superior way to cleanse our bodies. God provides for us in so many ways! The children read from the Bible and learned about how God can cleanse us not just of the dirt on the outside, but our sin on the inside. After the devotion, each child was asked to share what they personally learned from the story. Rose said that she felt like the problem with sin was, unlike dirt, you didn’t always know it was there, and she was glad that if she asked for forgiveness Jesus could show her the sin and make her clean. Prayer and more songs followed, and then household announcements closed the evening. Each child shared something about their day, or mentioned a problem they were having with a sibling so that Mama Nomsa could talk about it with them. Even the three and four year olds participated, and sat quietly through the entire family worship. Participating in this special family time was a highlight of my time here – it is so evident that these children are growing to be responsible, caring individuals that love God and others. Summer is quickly approaching in the United States, which means if you have a garden, chances are you've begun planting in anticipation of a juicy summer tomato or a giant zucchini. Zimbabwe has a temperate enough climate that even in winter, which is approaching now, we can grow a variety of crops in our family gardens to supplement the food we purchase and provide a healthy diet for each child. Winter crops include leafy greens, cabbage, onions and peas. Each group home and family has a garden plot that helps supplement their diet. Every member of the family helps with watering, weeding, planting and harvesting. This helps ensure that our children know how to care for their own gardens one day, an essential skill in a country with chronic food shortages. Kuda Vana's Maize crop did well this year! Without reserve, every family garden contains Kavo, a leafy-green that is utilized in almost every meal. Beyond this, the sky is the limit! Mama Ana in House 1 loves Pawpaws and they have planted several Pawpaw trees in their garden which are now blooming with soft yellow flowers and coming close to bearing fruit. Their garden also includes orange and yellow-gold marigolds for beauty and bug control around their garden’s perimeter. Mama Josie in House 3 has a real green thumb, and their garden plots extends further than any of the others. In the summer months, they grow red hot peppers, potatoes, acorn and butternut squashes along with Maize and a variety of flowers, including purple climbing clematis and red geraniums. Many of our houses express their personality by creating small sidewalks and flower beds off their front porches. House 4 was the last of our houses to be built, and so their garden is still the smallest but little Videline is determined to change that. She is proud of the small strawberry seedlings she has growing, and has a plan to plant tomatoes, potatoes and Maize next year. The children at Kuda Vana are not only learning skills that will help them provide for themselves and their families in the future, they are also learning to appreciate the wonderful ways in which God provides for us through proper care of the garden. This post, and the accompanying photos, is written by one of our student missionaries, Keelia Trively. Kuda Vana is working hard to ensure our young people have the skills to become self-sufficient adults, which is why we are so excited about the opportunity N has to learn a skill to support herself. True to our name (Kuda Vana means "Loving Children" in Shona, our goal is for every child to know that they are cherished and loved, just as they are. It warms our hearts to see this happening! "One of our girls, I will call her ‘N’, recently turned 15! She is such a sweet and strong girl and is very hard working. N has been going into town lately to work with a cosmetologist and learn how to do manicures and pedicures, and she is loving it! It’s so fun to see her in her slacks and dress shirt and her trusty notebook where N and her boss make notes on procedures and homework. When she smiles, it lights up the whole room. N has had an extremely difficult past, which includes sexual assault. But when you talk to her, you’d never think she went through that. She is so happy and loving and her laugh just makes your heart so happy! On her 15th birthday, she led singing at church, and when we sang her Happy Birthday, she started crying when she said her best friend was her Momma [The main caregiver in each group home is known as a Momma]. Some of the other kids weren’t nice to N when this happened, but the Aunties and I started getting teary eyed knowing how much having Momma as her best fried meant to N. This shows just how good it is for these kids to actually live in a home with a Momma. OK, actually Employee Appreciation Day was March 2nd, but we appreciate our staff so much that we wanted to make it last! Our team is truly the heart and soul of our organization, especially the Mama's who care for up to ten children in their homes and love them as if they were their own. Mama Kuziwa has been with Kuda Vana for more than two years and came to us after another orphanage closed because it did not meet government standards. Her commitment to children is embodied in her choice to stay on to care for the children there, even after there was no money left to pay her. When she came to Kuda Vana, several children who were there came with her. Mama Kuziwa loves and parents ten children, ages 2-18, in House 2. She has four grown children of her own. I love caring for the children and giving them guidance, helping to mold their lives and shape their future. I want them to have the best start like any child - I don’t want them to feel neglected or disadvantaged. I want them to feel like I am their real mother and know they are loved. I’m trying hard to teach our children, especially the older ones who were abused when they were younger, that their bodies are the temple of God. We have to change the cycle of abuse here. I also want to help them take advantage of the special time they have here, and to take their education seriously. I don’t want to let them forget how blessed they are to be here. How do you work to create a family? When we are here in our home, we forget about everything else, where we came from, what our stories are. Now we are a family, even though we have different backgrounds and last names. We are brothers and sisters. Now, even if an older child in this house hears a baby outside crying, they will go to them, just like they are siblings. I’m so glad that we’ve been able to build that for them here. They are developing mentally, emotionally and we are a family. We are connected together forever. Why do you work for Kuda Vana? There is a huge difference between Kuda Vana and the orphanage I was at before. The children there had terrible behavior. Here at Kuda Vana, we are teaching them discipline, and they understand consequences. I think it’s because this place is managed so much better, and the mamas truly care. We all have our own kids, so we treat them like our own children. In the future, they will remember “Mama used to do this, say this; she guided me.” They may not know it now, but they will know later. I’m so grateful to the people in the U.S. and other countries who are helping our children. This will change their lives. They had a terrible future and now it is brighter. Jeremiah 29:11. We wanted to share this latest excerpt from the blog of one our our student missionaries. These three young women have been friends, teachers, playmates and everything in between to the children on our campus, and we are so grateful for the year they've given to this cause. Friendship and trust takes time to build, but once it's built,, walls come down! "One of our pre-teens has been having some very bad nightmares, and he hasn’t been sleeping or feeling good (go figure, I don’t think any of us would feel good having nightmares). He is one of our boys who doesn’t really open up to anyone about his past, and no one knows much about where he came from before he came to Kuda Vana. The Aunties and I have been praying about him and with him, and God gave me an amazing opportunity to talk to him one day. We have a “tower” (one of our play equipment) and I noticed that he was doing his homework at the top. I waited a few minutes and then walked over there. I asked him if I could come up, because I didn’t want to push him or make him think he has to talk to me. He said I could come up, so I did, and we sat in silence for a while, so he could finish his homework. Once he finished, I asked him how he was doing and if he slept. He told me he did sleep, and he didn’t have a bad dream. I asked him if he remember any of his other dreams, and at first, he said no. So I changed the topic and we talked about something happy. When that conversation died off we sat in silence again. I wasn’t sure if he wanted me to leave, so I asked him if he wanted to get down and he said no, then I asked if he wanted me to leave or stay and he told me to stay. Then I asked if I could ask him some questions about his past and where he was before he came to Kuda Vana. At first, he didn’t seem to want to tell me anything, but he eventually told me a little bit. After he answered some more of my questions, I felt like it was getting to be too much, so I asked if I could pray with him. He let me put my hand on his shoulder and I prayed, and I could tell that he was crying even though he kept wiping away his tears with his shirt. Before I left I made sure to have a light and fun conversation, so he didn’t have to think about bad things all day. When I got back home I realized I had been sitting with him for over 2 hours. I am so proud of that boy for opening up, and I am so glad I got to be a part of that. A few days after this Uncle Knowledge (our church and weekend activities coordinator) told us that the boy opened up to him about his dreams and about more of where he was before he came to Kuda Vana. I was so happy when I was told that! But this boy still has a long way to go to recover from the things he’s seen, in real life and in his nightmares, so please keep him in your prayers. Keep all these kids in your prayers."